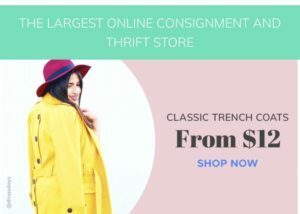 This month’s prompt for the 12 Months of Thrifting challenge is a little different than usual. 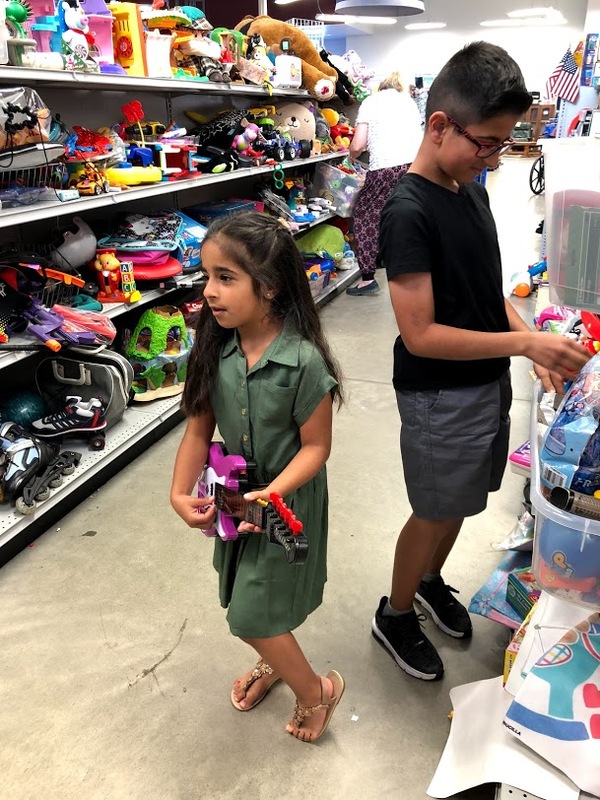 With school wrapping up for the year and kids and parents prepare for summer break, we thought it would be a good time to allow the older kids to go on a little adventure at Goodwill and select their own item(s) for the challenge. 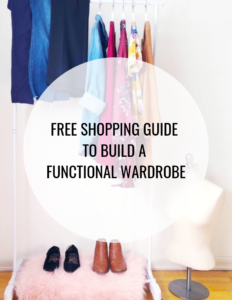 This is an excellent opportunity to teach children the benefits of thrift shopping, budgeting, and how to navigate a thrift store. 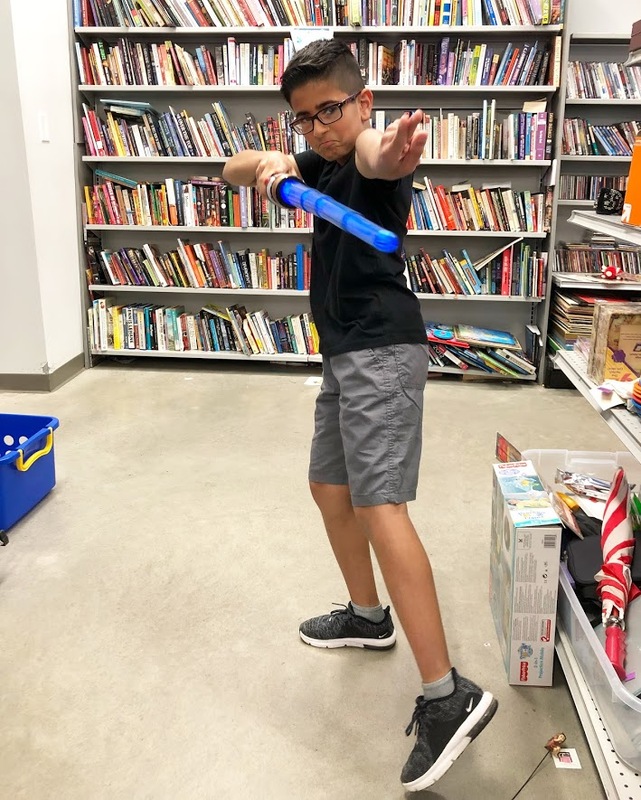 Since our little one is still a baby, I took my nephew (age 11) and niece (age 6) on a little “thriftventure” at Goodwill. 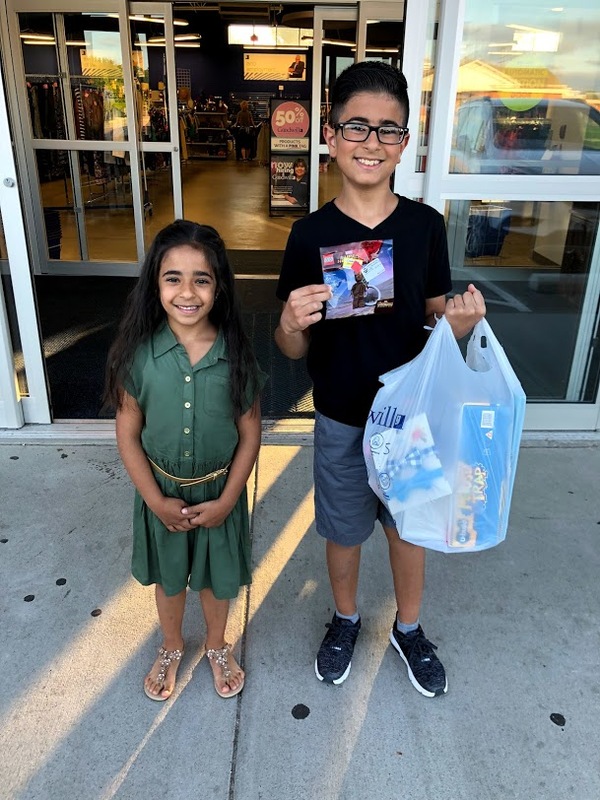 First, I gave them each a $5 budget and 30 minutes to shop. They had the freedom to choose what they wanted to buy, but it couldn’t exceed $5 each. My nephew was very strategic and not at all impulsive in his decision making. My niece, though she needed a little direction at first, decided that she wanted to stretch her $5 and buy multiple items rather than one item. Setting a budget was the perfect way to teach them about store discounts and math. My nephew kept his eye on items that were 50% off and my niece practiced her reading and math skills. Giving them a time limit was the perfect way to get them to stay focused. We went 30 minutes before the store closed, so hearing the announcement that store will be closing soon meant they really needed to make their final decisions quickly and efficiently. Developing a quick strategy beforehand was very helpful and taught the kids that having a plan in mind will help them stay focused on what they really want and need. I asked them what the like to shop for at Goodwill and they each mentioned games, toys, and books, so we prioritized their interests and made navigated the departments accordingly. The finds: My nephew picked out a new Mousetrap board game and two “exclusive, special edition Lego key chains” (his words, not mine!) My niece scored a mini robot dog that she promptly named “Kissy” and a book she’s had her eye on at the school library. 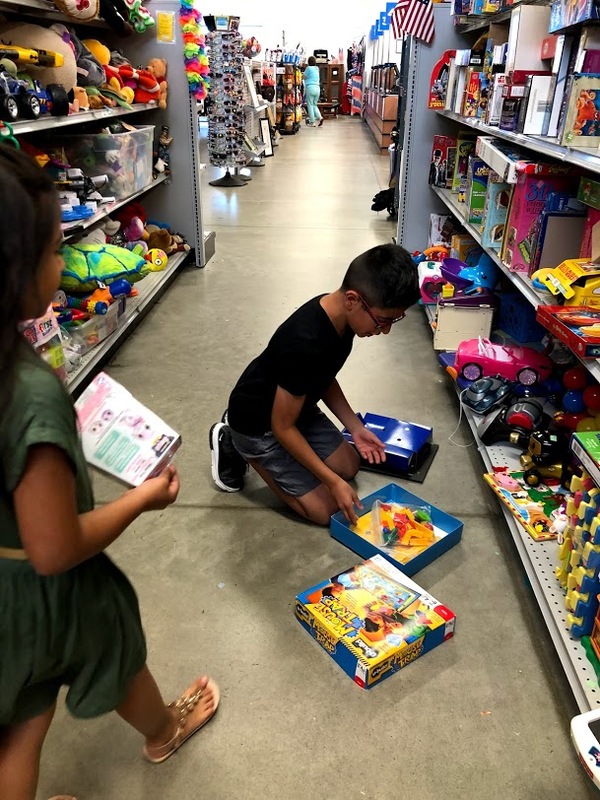 What I loved the most, other than getting to spend much needed quality time with my niece and nephew, is that they were completely comfortable in a thrift store setting. They absolutely loved hunting for their next favorite game or book, and we all bonded throughout the process. It really was the most fun I’ve had shopping with them! 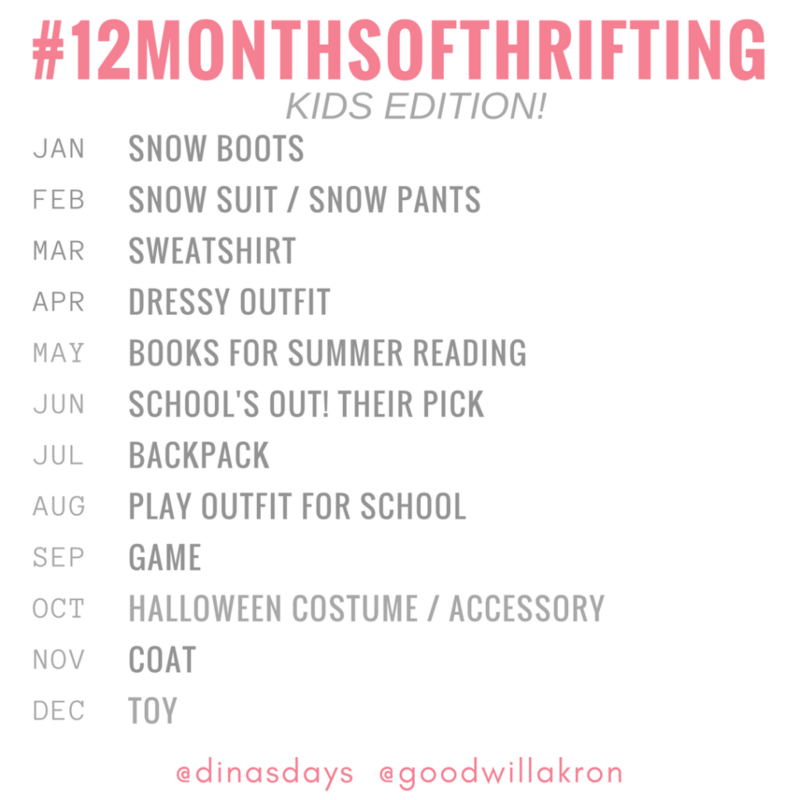 If your little ones are too young to make their own selections at Goodwill for this month’s prompt, feel free to modify the challenge a bit to meet your needs. Is there something your child or children need that isn’t on the challenge list? Or maybe pick up a toy or new outfit for your little one, just because! Or you can simply take a trip to Goodwill and walk around to practice your treasure hunting skills. Next up: thrifting a kids’ backpack.